Precision machined from a solid billet of aluminium alloy - these ultra-light and beautiful calipers are THE must-have upgrade for all front radial brake equipped bikes. These are the first and still the best aftermarket 6 piston monoblock radial calipers for the standard 108mm radial mounting arrangement - for all current Japanese sports bikes - meaning your investment is protected because you would normally be able to simply switch them to your next bike in the future. And, at only 718g inc. pads per caliper, you can save a massive 0.6Kg unsprung weight from your front suspension when compared with Brembo's M4 monobloc caliper - which are still only a conventional four-piston design. "Weight saving where it really counts - unsprung and pivoting round the headstock. Not cheap but you can go some way to justifying your investment when you realise that because they have the standard Japanese radial calliper 108mm mounting spacing they'll happily transfer to the bike you buy after the one you have now. With six individual pads per calliper they have the best possible pad area and get around the flex and clamping problems that single pads can suffer from. Calipers are aluminium as are the pistons, the latter being Tufram coated. SBS Carbon Matrix pads are included. Pad track is 27mm and they work with discs of 280-320mm. Weight of each calliper including pad is 718g. 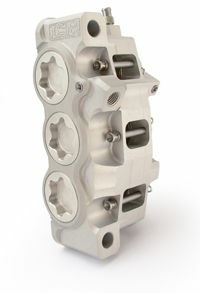 A standard R1 four-piston is 1Kg with pads." Size-for-size - due to their six individual pads design - they have a larger piston to pad ratio than a four piston caliper to deliver an unmatched braking power to weight ratio combined with more controllable braking due to their excellent lever feel. Please note: We can supply ISR parts unanodised should you wish to apply your own finish, just tick the option box below when ordering, the parts will also be supplied unassembled. HPS can also produce very lightweight discs to go with these calipers (see our bespoke discs information page and downloadable ordering/quotation form here). !quote, 22-034-OK, 22-034-OL, braking, brakes, aprilia, 6.5, 10, 11, 12, 50, 53, 69, 70, 71, 72, 73, 74, 75, 76, 77, 78, 79, 80, 81, 82, 83, 85, 86, 87, 88, 89, 91, 92, 93, 94, 95, 96, 97, 98, 99, 00, 01, 02, 03, 04, 05, 06, 07, 08, 09, 100, 110, 120, 125, 180, 185, 200, 225, 250, 300, 305, 350, 360, 380, 400, 426, 450, 500, 504, 525, 530, 550, 570, 600, 620, 625, 640, 644, 650, 660, 664, 690, 695, 700, 748, 749, 750, 850, 800, 851, 865, 883, 888, 900, 906, 907, 916, 920, 950, 955, 959, 990, 996, 998, 999, 1000, 1050, 1098, 1100, 1200, 1300, 1400, 1800, 1969, 1970, 1971, 1972, 1973, 1974, 1975, 1977, 1978, 1979, 1980, 1981, 1982, 1983, 1984, 1985, 1986, 1987, 1988, 1989, 1991, 1992, 1993, 1994, 1995, 1996, 1997, 1998, 1999, 2000, 2001, 2002, 2003, 2004, 2005, 2006, 2007, 2008, 2009, 2010, 2011, 2012, 2013, 2014, 2015, 2016, 2017, 2018, 2019, 2020, 1000DB5, 1000ds, 1000R, 1000ss, 1050st, 10r, 1100s, 1200c, 1200s, 1200ts, 125ex, 125exc, 125sx, 12r, 200sx, 250et, 250exc, 250r, 250rsb, 2d, 380sx, 3d, 400exc, 400ss, 450sx, 500sl, 500ss, 525exc, 525sx, 530exc, 550fc, 600sl, 600ss, 600tl, 625smc, 650gt, 65sx, 660smc, 690sm, 748r, 750c, 750DB1, 750f2, 750k2, 750k6, 750s, 750ss, 800ss, 85sx, 860gt, 860gts, 860mhr, 883r, 900s2, 900sd, 900sl, 900ss, 950sm, 955i, 990smr, 990smt, 996r, 998r, 999s, abs, ace, ad, adiva, adventure, adventurer, aerox, af1, america, AF1 50, af1-125, af1-250, agility, agusta, ala, alazzura, aluzzura, an400, anf125i, antidive, ap50, Aprilia, ar125, ar50, aspencade, atc250r, ate, augusta, b-whizz, b1h, b2, bad, bandit, bellaria, benelli, beta, big, bigwheel, bimota, biposta, Biposto, bj250, bking, blu, blue, blues, bmw, bob, bol, bold'or, bonneville, boy, breva, bros, bt1100, buell, bull, bulldog, bultaco, bundy, bws, c1h, c2, café, cagiva, california, caliper, canyon, Caponord, cat, cb, cb1, cb1000, cb1000r, cb1000sf, cb1100, cb1100rc, cb1100rd, cb1100sf, cb125, cb125t, cb1300, cb1300f, cb1300s, cb1400, cb250n, cb250r, cb350s, cb360, cb400, cb400f, cb400n, cb400sf, cb400t, cb450, cb450dx, cb500, cb500t, cb500v, cb550, cb550f, cb550k, cb600, cb600f, cb650, cb750f, cb750k, cbf1000f, cbf500, cbf600, cbr1000f, cbr1000rr, cbr1100xx, cbr125r, cbr250, cbr400r, cbr400rr, cbr600fs, cbr600fx, cbr600rr, cbr750, cbx1000, cbx250r, cbx550f, cbx750f, ccm, cg125, city, cj250t, clr125, comet, commando, conv, corsa, cr125, cr125r, cr250, cr500, cr80, crf150r, crf230f, crf250r, crf250x, crf450r, crf450x, crf1000l, crm250, cross, cs, ct, custom, cw50, cx500, cx650, cx650e, cyclone, cygnus, d2e, dakar, darmah, davidson, davison, daytona, db1, DB2, DB3, DB4, db5, DB6, DB7, dc, deauville, delux, deluxe, desert, desmosedici, diversion, dl, dl1000, dl650, dn-01, dn01, dna125, dna50, dog, dor, Dorsoduro, douglas, dr, dr-z400sm, dr125, dr125s, dr350s, dr600r, dr600s, dr650rs, dr750s, dragstar, dragster, drz, drz400sm, ds1000, dt, dt125r, dt125s, dual, ducati, duke, dx, dxb, dxd, dylan, dyna, easy, ec200, ec250, ec300, edition, efe, el250, el252, elefant, eliminator, elyseo, en, en450, enduro, enfield, er-5, er-6f, er250, er5, er500, er6f, esd, ese, estrella, et, ETV1000, euro, european, eurosport, evolution, ex, ex305, executive, explorer, extrema, exup, f1, f2, f4s, f650, f650gs, f6c, f800s, faired, falco, fazer, fc, fes125, fighter, fii, fj1100, fj1200a, fjr1300, flhc, flhr, flhs, flhtc, flhtc-u, flst, flstc, flstf, flstn, fltc, fltc-u, fltri, fly, fmx, fmx650, formula, forza, four, free, freewind, fs1e, ft500c, fu, fun, fur, Furano, futura, fw, fwdd, fx, fx125, fxd, fxdb, fxdl, fxds-c, fxdwg, fxdx, fxe, fxef, fxlr, fxr, fxr180, fxr180sp, fxrs, fxrs-sp, fxrt, fxsb, fxst, fxstb, fxstc, fxsts, fxstsb, fxwg, fz, fz1, fz1-s, fz400, fz6, gamma, fz750, fz8, fzr, fzr1000, fzr1000r, fzr400, fzr400rr, fzr600r, fzr750r, fzs1000, fzs600, gas, gasgas, genesis, gfr, gfr125, gilera, gl1100a, gl1200a, gl1500j, gl500, gle650, glide, glph, glpv, gn, gold, goldwing, goose, gp100x, gp125, gp125d, gp125n, gp125x, gpa1, gpx600rc, gpx750r, gpz, gpz1100, gpz1100s, gpz305, gpz500, gpz600r, gpz750, gpz900r, gran, gs, gs1000en, gs1000et, gs1000g, gs125e, gs125s, gs250tt, gs400, gs425, gs500e, gs500f, gs550, gs550en, gs550et, gs650, gs650g, gs750b, gs750db, gs850g, gsf, gsf1200, gsf1200sa, gsf1250, gsf1250sa, gsf400, gsf600, gsf650, gsgd, gsm, gsm50, gsr, gsr600, gsx-r1100, gsx-r1300, gsx-r400, gsx-r400rr, gsx-r600, gsx1000s, gsx1100, gsx1100e, gsx1100f, gsx1100g, gsx1100sd, gsx1400, gsx250, gsx250e, gsx400, gsx400e, gsx550ef, gsx550es, gsx600, gsx600fw, gsx650f, gsx750, gsx750e, gsx750f, gsx750sf, gsx750w, gsxr, gsxr1000, gsxr1100, gsxr400, gsxr400rr, gsxr600, gsxr750, gt, gt125, gt185, gt250, gt250r, gt380, gt500, gt550, gt650, gt650r, gt750, gtd, gtr1000, gts, gts1000, gtx, guzzi, gv650, gz125, h1f, half, harley, harley-davidson, harley-davison, hawk, hd, honda, hornet, hugger, husaberg, husqvana, Husqvarna, hyosung, hypermotard, ID, ie, ii, iii, imp, import, indiana, Iniezione, injection, innova, intruder, italijet, japanese, jota, jps, k1, k10, k100, k100r, k100rs, k100rt, k1100, k1200, k1200rs, k2, k3, k4, k5, k6, k7, k75, k75-s, k75c, k75s, k8, k9, katana, kawasaki, kb1, kdx200, kh100g, kh125, kh250, kh400, kh500, kl650, kle500, klr250, klr600, klv1000, klx110, klx300, klx400, klx450r, klx650, kmx125, kmx450, kr1, kr1s, kr250, ks, ks500c, ksr, ktm, kx100, kx125, kx250, kx250f, kx450f, kx500, kx65, kx85, kymco, kz1000, kz1300, kz400, kz650, l0, l1, l2, lambretta, lario, laverda, lawson, lc, lc4, lc8, le, le mans, lemans, light, lightning, limited, linked, lmf, low, lowrider, ls, ls650, lt, ltd, m1000, m1600, m1800r, m2, m400, m600, marauder, m620, m750, m800, m900, m900ms4s, machismo, magna, maico, majesty, mana, mans, Mantra, master, mbx125rw, mbx80f, mc19, mc21, mc22, mc28, mean, meanstreak, mhr, Moto, midnight, mille, mirage, mistral, mito, mk1, mk2, mkii, monster, montjuic, morini, motard, motocross, mt-01, mt-03, mt01, mt03, mtx125rwf, mtx200rwd, multistrada, mv, naked, nc21, nc23, nc24, nc27, nc29, nc30, nc31, nc35, newton, ng, night, nighthawk, nighttrain, ninja, nord, ns125r, nsr250r, nsr250sp, ntv600-j, ntv600j, ntv650, ntv700v, nx650, nxc, nxc125, ocean, one, pacific, pan, pantah, pantheon, paris, paso, paul, pc800, pegaso, people, peugeot, piaggio, planet, prima, ps125i, px, quad, quadrunner, quasar, r1, r100, r100cs, r100gs, r100rg, r100rs, r100rt, r100t, r1100gs, r1100r, r1100rs, r1100rt, r1100s, r1150, r1150gs, r1150r, r2, r30, r45, r6, r65, r65ls, r75, r76, r80, r80gs, r80rt, r80st, r87, r90, r90s, racer, racing, raider, raptor, rc, rc51, rc8, rd, rd125, rd125lc, rd200, rd250, rd350, rd400, rd500, replacing, replica, retro, revere, rf, rf600r, rf900r, rf900rr, rg, rg125f, rg250, rg500, RG80, rga, rgs, rgv, rgv250, rj250, rm250, rm80, rmx, rmx250, rmz, rmz250, rmz450, road, road star, roadstar, RS250, roadster, rocket, rossi, rotary, rotax, rrk, rrn, rrsp, rs, rs100, rs125, rs16, rs18, rs50, rs900, rsb, rst, rst1000, rsv, rsv-r, rsv-sp, rsv1000, RSV4, rsvr1000, rt, runner, rvf750r, rx1000, rx50, RXV450, RXV550, rz250, s1, s2, s2r, s3, s4, s4s, sa, sachs, saturno, sauber, savage, SB6, SB7, SB8, sc, scorpion, scrambler, sd, sdr200, sei, sernow, ses125, sfc, sh125i, sh300i, shadow, Shiver, silver, silverwing, single, sixteen, ske, skx, sl1000, SL750, slingshot, slkx, slr650, slr650v, slung, smart, smc, softail, sp, sp1, sp1000, sp1000nt, sp2, sp3, spada, speed, speed fight, speedfight, speedmaster, spirit, sport, sports, sportster, springer, sprint, sps, sr250, sr50, sr500, srv250, srx600, ss, ss50, st, st1100, st1300, st2, st3, st4, standard, star, strada, streak, street, streetbob, strike, sugomi, super, super tenere, superbike, supercity, superdream, superduke, superfour, superglide, superlight, Supermono, supermotard, supermoto, supersport, suzuki, sv, sv650, sv650s, sxv, sxv450, sxv550, sz, szr660, t-max, t100, t140d, t140v, t3, t4, t5, t509, t595, targa, tbird, tc, tc570, td, tdm, tdm850, tdm900, tdr125, tdr250, tema, tenere, Tesi, Tesi2D, Tesi3D, thruxton, thunder, thunderace, thunderbird, thundercat, tiger, tl, tl1000, tl1000r, tl1000s, tm, tnt, tour, tourer, tr, tr1, trail, train, transalp, trial, Tuono, tricolore, triple, triumph, trophy, trx, trx850, ts125, tss, tsx, tt, tt-r250, tt600, tu250, Tuareg, tuatara, v-strom, turbo, twin, twindisc, tx, tx350e, tz125, tz250, van van, tzr, tzr125, unfaired, us, V-Due, v-max, v-rod, v-tec, v35, V4R, v50, v65, valkyrie, valve, vanvan, varadero, vdue, venture, versys, vespa, vf1000fe, vf1000fr, vf1100, vf400f, vf500f, vf700c, vf750c, vf750f, vfr400r, vfr750f, vfr800f, vl125, vl1500, vmax, vn1500, vn1600, vn2000, vn800, vn900, volty, vrod, vs, vs1600, vs600, vs750, vs800, vstrom, vt1100, vt250f, vt500e, vt750c, vt750dc, vt800, vtec, vtr1000, vtr1000f, vtr250, wind, vtx1300, vtx1800, vulcan, vx800, vz1600, vz800, vz850, w650, warrior, west, wheel, white, whizz, wide, wideglide, wildstar, wing, wr, wr250, wr250r, wr250x, wr360, wr426f, wr450f, x-city, x-max, x1, x11, x4, xb12r, xb12s, xb9sx, xbr500f, xcity, xf650, xj550, xj600, xj650, xj750, xj900, xjr1200, xjr1300, xjr400, xl, xl1000v, xl1200c, xl1200s, xl125rf, xl125rt, xl125v, xl53c, xl600, xl600r, xl600v, xl650v, xl700v, xlh, xls, xls1000, xlv1000, xn85, xp500, xr, xr125l, xr250r, xr400r, xr400rv, xr650, xrv750, xs, xs1100, xs1100s, xs250s, xs400se, xs500c, xs650, xs650c, xs650e, xs750, xs750se, xs850, xt, xt125, xt125r, xt225, xt250, xt350, xt500, xt600, xt600z, xt660r, xt660x, xt660z, xtc125, xv1000, xv1100, xv125s, xv1600, xv1700, xv1900, xv1900a, xv750se, xv920, xvs1100, xvs650a, xvz12td, xz550, xz550s, yamaha, YB11, YB4, YB5, YB6, YB7, YB8, YB9, ybr, ybr125, yp125r, yp250, ypvs, yz125, yz250, yz250f, yz426, yz450f, yz85, yzf-r1, yzf-r125, yzf-r6, yzf-r7, yzf1000, yzf250, yzf600, yzf750r, yzfr, yzfr125, yzfr6, yzfr7, z1000, z1000k, z1300, z1a, z1b, z1r, z250, z250t, z400, z400f, z440, z450, z500, z550, z650, z750, z750b, z750ct, z750e, z750s, z900, zephyr, zg1000, zg1300, zip, zl1000, zl1100, zl600, zr-7, zr-7s, zr400, zr50, zr550, zr7, zr750, zr7s, zrx1100, zrx1200r, zrx1200s, zx-10r, zx-12r, zx-6r, zx-7r, zx-9r, zx10, zx1000, zx10r, zx1200, zx12r, zx14, zx6r, zx6rr, zx7r, zx7rr, zx9r, zxr, zxr400, zxr750r, zzr, zzr1100, zzr1200, zzr1400, zzr250, zzr400, zzr600! It won best in class and over all show winner at the Triumph live custom show (which I was quite pleased about). The judges said it won it for the level of detail and engineering involved, especially the radiator/oil cooler, exhaust AND the ISR brakes, rightly so! The ISR's are my favourite part. Special direct fit calipers designed for the larger 130mm mounting pitch on these three Yamaha bikes' fork bottoms which completely avoid the need for unsightly adaptor brackets. Precision machined from a solid piece of billet aluminium - these beautiful and ultra-light units save weight just where you need it - unsprung weight - and are THE must-have upgrade for the current R1 and V-Max along with soon to be classic MT-01. !braking, brakes. mt01, yzfr1, 2007, 2008, 2009, 2010, 2011, 2012, 2013, 2014, 2015, 2016, 2017, 2018, 2019, 2020, 07, 08, 09, 10, 11, 12, 13, 14, 15, 16, 17, 18, 19, 20! Not got one of the latest radial-equipped bikes, but still want the best brakes available? These calipers are for you! Sharing all of the features of ISR's radial range but with a conventional mounting style. When adding to shopping cart you will be asked to confirm the make, model and year of your bike. !57058, braking, aprilia, 6.5, 10, 11, 12, 50, 53, 69, 70, 71, 72, 73, 74, 75, 76, 77, 78, 79, 80, 81, 82, 83, 85, 86, 87, 88, 89, 91, 92, 93, 94, 95, 96, 97, 98, 99, 100, 110, 120, 125, 180, 185, 200, 225, 250, 300, 305, 350, 360, 380, 400, 426, 450, 500, 504, 525, 530, 550, 570, 600, 620, 625, 640, 644, 650, 660, 664, 690, 695, 700, 748, 749, 750, 850, 800, 851, 865, 883, 888, 900, 906, 907, 916, 920, 950, 955, 959, 990, 996, 998, 999, 1000, 1050, 1098, 1100, 1200, 1300, 1400, 1800, 1969, 1970, 1971, 1972, 1973, 1974, 1975, 1977, 1978, 1979, 1980, 1981, 1982, 1983, 1984, 1985, 1986, 1987, 1988, 1989, 1991, 1992, 1993, 1994, 1995, 1996, 1997, 1998, 1999, 2000, 2001, 2002, 2003, 2004, 2005, 2006, 2007, 2008, 2009, 2010, 2011, 2012, 2013, 2014, 2015, 2016, 2017, 2018, 2019, 2020, 1000DB5, 1000ds, 1000R, 1000ss, 1050st, 10r, 1100s, 1200c, 1200s, 1200ts, 125ex, 125exc, 125sx, 12r, 200sx, 250et, 250exc, 250r, 250rsb, 2d, 380sx, 3d, 400exc, 400ss, 450sx, 500sl, 500ss, 525exc, 525sx, 530exc, 550fc, 600sl, 600ss, 600tl, 625smc, 650gt, 65sx, 660smc, 690sm, 748r, 750c, 750DB1, 750f2, 750k2, 750k6, 750s, 750ss, 800ss, 85sx, 860gt, 860gts, 860mhr, 883r, 900s2, 900sd, 900sl, 900ss, 950sm, 955i, 990smr, 990smt, 996r, 998r, 999s, abs, ace, ad, adiva, adventure, adventurer, aerox, af1, america, AF1 50, af1-125, af1-250, agility, agusta, ala, alazzura, aluzzura, an400, anf125i, antidive, ap50, Aprilia, ar125, ar50, aspencade, atc250r, ate, augusta, b-whizz, b1h, b2, bad, bandit, bellaria, benelli, beta, big, bigwheel, bimota, biposta, Biposto, bj250, bking, blu, blue, blues, bmw, bob, bol, bold'or, bonneville, boy, breva, bros, bt1100, buell, bull, bulldog, bultaco, bundy, bws, c1h, c2, café, cagiva, california, caliper, canyon, Caponord, cat, cb, cb1, cb1000, cb1000r, cb1000sf, cb1100, cb1100rc, cb1100rd, cb1100sf, cb125, cb125t, cb1300, cb1300f, cb1300s, cb1400, cb250n, cb250r, cb350s, cb360, cb400, cb400f, cb400n, cb400sf, cb400t, cb450, cb450dx, cb500, cb500t, cb500v, cb550, cb550f, cb550k, cb600, cb600f, cb650, cb750f, cb750k, cbf1000f, cbf500, cbf600, cbr1000f, cbr1000rr, cbr1100xx, cbr125r, cbr250, cbr400r, cbr400rr, cbr600fs, cbr600fx, cbr600rr, cbr750, cbx1000, cbx250r, cbx550f, cbx750f, ccm, cg125, city, cj250t, clr125, comet, commando, conv, corsa, cr125, cr125r, cr250, cr500, cr80, crf150r, crf230f, crf250r, crf250x, crf450r, crf450x, crf1000l, crm250, cross, cs, ct, custom, cw50, cx500, cx650, cx650e, cyclone, cygnus, d2e, dakar, darmah, davidson, davison, daytona, db1, DB2, DB3, DB4, db5, DB6, DB7, dc, deauville, delux, deluxe, desert, desmosedici, diversion, dl, dl1000, dl650, dn-01, dn01, dna125, dna50, dog, dor, Dorsoduro, douglas, dr, dr-z400sm, dr125, dr125s, dr350s, dr600r, dr600s, dr650rs, dr750s, dragstar, dragster, drz, drz400sm, ds1000, dt, dt125r, dt125s, dual, ducati, duke, dx, dxb, dxd, dylan, dyna, easy, ec200, ec250, ec300, edition, efe, el250, el252, elefant, eliminator, elyseo, en, en450, enduro, enfield, er-5, er-6f, er250, er5, er500, er6f, esd, ese, estrella, et, ETV1000, euro, european, eurosport, evolution, ex, ex305, executive, explorer, extrema, exup, f1, f2, f4s, f650, f650gs, f6c, f800s, faired, falco, fazer, fc, fes125, fighter, fii, fj1100, fj1200a, fjr1300, flhc, flhr, flhs, flhtc, flhtc-u, flst, flstc, flstf, flstn, fltc, fltc-u, fltri, fly, fmx, fmx650, formula, forza, four, free, freewind, fs1e, ft500c, fu, fun, fur, Furano, futura, fw, fwdd, fx, fx125, fxd, fxdb, fxdl, fxds-c, fxdwg, fxdx, fxe, fxef, fxlr, fxr, fxr180, fxr180sp, fxrs, fxrs-sp, fxrt, fxsb, fxst, fxstb, fxstc, fxsts, fxstsb, fxwg, fz, fz1, fz1-s, fz400, fz6, gamma, fz750, fz8, fzr, fzr1000, fzr1000r, fzr400, fzr400rr, fzr600r, fzr750r, fzs1000, fzs600, gas, gasgas, genesis, gfr, gfr125, gilera, gl1100a, gl1200a, gl1500j, gl500, gle650, glide, glph, glpv, gn, gold, goldwing, goose, gp100x, gp125, gp125d, gp125n, gp125x, gpa1, gpx600rc, gpx750r, gpz, gpz1100, gpz1100s, gpz305, gpz500, gpz600r, gpz750, gpz900r, gran, gs, gs1000en, gs1000et, gs1000g, gs125e, gs125s, gs250tt, gs400, gs425, gs500e, gs500f, gs550, gs550en, gs550et, gs650, gs650g, gs750b, gs750db, gs850g, gsf, gsf1200, gsf1200sa, gsf1250, gsf1250sa, gsf400, gsf600, gsf650, gsgd, gsm, gsm50, gsr, gsr600, gsx-r1100, gsx-r1300, gsx-r400, gsx-r400rr, gsx-r600, gsx1000s, gsx1100, gsx1100e, gsx1100f, gsx1100g, gsx1100sd, gsx1400, gsx250, gsx250e, gsx400, gsx400e, gsx550ef, gsx550es, gsx600, gsx600fw, gsx650f, gsx750, gsx750e, gsx750f, gsx750sf, gsx750w, gsxr, gsxr1000, gsxr1100, gsxr400, gsxr400rr, gsxr600, gsxr750, gt, gt125, gt185, gt250, gt250r, gt380, gt500, gt550, gt650, gt650r, gt750, gtd, gtr1000, gts, gts1000, gtx, guzzi, gv650, gz125, h1f, half, harley, harley-davidson, harley-davison, hawk, hd, honda, hornet, hugger, husaberg, husqvana, Husqvarna, hyosung, hypermotard, ID, ie, ii, iii, imp, import, indiana, Iniezione, injection, innova, intruder, italijet, japanese, jota, jps, k1, k10, k100, k100r, k100rs, k100rt, k1100, k1200, k1200rs, k2, k3, k4, k5, k6, k7, k75, k75-s, k75c, k75s, k8, k9, katana, kawasaki, kb1, kdx200, kh100g, kh125, kh250, kh400, kh500, kl650, kle500, klr250, klr600, klv1000, klx110, klx300, klx400, klx450r, klx650, kmx125, kmx450, kr1, kr1s, kr250, ks, ks500c, ksr, ktm, kx100, kx125, kx250, kx250f, kx450f, kx500, kx65, kx85, kymco, kz1000, kz1300, kz400, kz650, l0, l1, l2, lambretta, lario, laverda, lawson, lc, lc4, lc8, le, le mans, lemans, light, lightning, limited, linked, lmf, low, lowrider, ls, ls650, lt, ltd, m1000, m1600, m1800r, m2, m400, m600, marauder, m620, m750, m800, m900, m900ms4s, machismo, magna, maico, majesty, mana, mans, Mantra, master, mbx125rw, mbx80f, mc19, mc21, mc22, mc28, mean, meanstreak, mhr, Moto, midnight, mille, mirage, mistral, mito, mk1, mk2, mkii, monster, montjuic, morini, motard, motocross, mt-01, mt-03, mt01, mt03, mtx125rwf, mtx200rwd, multistrada, mv, naked, nc21, nc23, nc24, nc27, nc29, nc30, nc31, nc35, newton, ng, night, nighthawk, nighttrain, ninja, nord, ns125r, nsr250r, nsr250sp, ntv600-j, ntv600j, ntv650, ntv700v, nx650, nxc, nxc125, ocean, one, pacific, pan, pantah, pantheon, paris, paso, paul, pc800, pegaso, people, peugeot, piaggio, planet, prima, ps125i, px, quad, quadrunner, quasar, r1, r100, r100cs, r100gs, r100rg, r100rs, r100rt, r100t, r1100gs, r1100r, r1100rs, r1100rt, r1100s, r1150, r1150gs, r1150r, r2, r30, r45, r6, r65, r65ls, r75, r76, r80, r80gs, r80rt, r80st, r87, r90, r90s, racer, racing, raider, raptor, rc, rc51, rc8, rd, rd125, rd125lc, rd200, rd250, rd350, rd400, rd500, replacing, replica, retro, revere, rf, rf600r, rf900r, rf900rr, rg, rg125f, rg250, rg500, RG80, rga, rgs, rgv, rgv250, rj250, rm250, rm80, rmx, rmx250, rmz, rmz250, rmz450, road, road star, roadstar, RS250, roadster, rocket, rossi, rotary, rotax, rrk, rrn, rrsp, rs, rs100, rs125, rs16, rs18, rs50, rs900, rsb, rst, rst1000, rsv, rsv-r, rsv-sp, rsv1000, RSV4, rsvr1000, rt, runner, rvf750r, rx1000, rx50, RXV450, RXV550, rz250, s1, s2, s2r, s3, s4, s4s, sa, sachs, saturno, sauber, savage, SB6, SB7, SB8, sc, scorpion, scrambler, sd, sdr200, sei, sernow, ses125, sfc, sh125i, sh300i, shadow, Shiver, silver, silverwing, single, sixteen, ske, skx, sl1000, SL750, slingshot, slkx, slr650, slr650v, slung, smart, smc, softail, sp, sp1, sp1000, sp1000nt, sp2, sp3, spada, speed, speed fight, speedfight, speedmaster, spirit, sport, sports, sportster, springer, sprint, sps, sr250, sr50, sr500, srv250, srx600, ss, ss50, st, st1100, st1300, st2, st3, st4, standard, star, strada, streak, street, streetbob, strike, sugomi, super, super tenere, superbike, supercity, superdream, superduke, superfour, superglide, superlight, Supermono, supermotard, supermoto, supersport, suzuki, sv, sv650, sv650s, sxv, sxv450, sxv550, sz, szr660, t-max, t100, t140d, t140v, t3, t4, t5, t509, t595, targa, tbird, tc, tc570, td, tdm, tdm850, tdm900, tdr125, tdr250, tema, tenere, Tesi, Tesi2D, Tesi3D, thruxton, thunder, thunderace, thunderbird, thundercat, tiger, tl, tl1000, tl1000r, tl1000s, tm, tnt, tour, tourer, tr, tr1, trail, train, transalp, trial, Tuono, tricolore, triple, triumph, trophy, trx, trx850, ts125, tss, tsx, tt, tt-r250, tt600, tu250, Tuareg, tuatara, v-strom, turbo, twin, twindisc, tx, tx350e, tz125, tz250, van van, tzr, tzr125, unfaired, us, V-Due, v-max, v-rod, v-tec, v35, V4R, v50, v65, valkyrie, valve, vanvan, varadero, vdue, venture, versys, vespa, vf1000fe, vf1000fr, vf1100, vf400f, vf500f, vf700c, vf750c, vf750f, vfr400r, vfr750f, vfr800f, vl125, vl1500, vmax, vn1500, vn1600, vn2000, vn800, vn900, volty, vrod, vs, vs1600, vs600, vs750, vs800, vstrom, vt1100, vt250f, vt500e, vt750c, vt750dc, vt800, vtec, vtr1000, vtr1000f, vtr250, wind, vtx1300, vtx1800, vulcan, vx800, vz1600, vz800, vz850, w650, warrior, west, wheel, white, whizz, wide, wideglide, wildstar, wing, wr, wr250, wr250r, wr250x, wr360, wr426f, wr450f, x-city, x-max, x1, x11, x4, xb12r, xb12s, xb9sx, xbr500f, xcity, xf650, xj550, xj600, xj650, xj750, xj900, xjr1200, xjr1300, xjr400, xl, xl1000v, xl1200c, xl1200s, xl125rf, xl125rt, xl125v, xl53c, xl600, xl600r, xl600v, xl650v, xl700v, xlh, xls, xls1000, xlv1000, xn85, xp500, xr, xr125l, xr250r, xr400r, xr400rv, xr650, xrv750, xs, xs1100, xs1100s, xs250s, xs400se, xs500c, xs650, xs650c, xs650e, xs750, xs750se, xs850, xt, xt125, xt125r, xt225, xt250, xt350, xt500, xt600, xt600z, xt660r, xt660x, xt660z, xtc125, xv1000, xv1100, xv125s, xv1600, xv1700, xv1900, xv1900a, xv750se, xv920, xvs1100, xvs650a, xvz12td, xz550, xz550s, yamaha, YB11, YB4, YB5, YB6, YB7, YB8, YB9, ybr, ybr125, yp125r, yp250, ypvs, yz125, yz250, yz250f, yz426, yz450f, yz85, yzf-r1, yzf-r125, yzf-r6, yzf-r7, yzf1000, yzf250, yzf600, yzf750r, yzfr, yzfr125, yzfr6, yzfr7, z1000, z1000k, z1300, z1a, z1b, z1r, z250, z250t, z400, z400f, z440, z450, z500, z550, z650, z750, z750b, z750ct, z750e, z750s, z900, zephyr, zg1000, zg1300, zip, zl1000, zl1100, zl600, zr-7, zr-7s, zr400, zr50, zr550, zr7, zr750, zr7s, zrx1100, zrx1200r, zrx1200s, zx-10r, zx-12r, zx-6r, zx-7r, zx-9r, zx10, zx1000, zx10r, zx1200, zx12r, zx14, zx6r, zx6rr, zx7r, zx7rr, zx9r, zxr, zxr400, zxr750r, zzr, zzr1100, zzr1200, zzr1400, zzr250, zzr400, zzr600, dyna, softail, sportster, touring, 883, 1200, sportsters, xl50, 50th, xl883n, xl883r, iron, xl883l, 883l, xl1200c, 1200c, xl1200x, 1200x, custom, superlow, low, xl1200v, 1200v, 48, 72, forty, eight, seventy, two, forty-eight, seventy-two, xl1200t, 1200t, nightster, xl1200n, 1200n, roadster, low, xl1200l 1200l, anniversary, xl1200r, 1200r, xl1200s, 1200s, sport, hugger, xl, xl883l, xlh, xlh883, xlh1200, softail, tail, fls, slim, flstci, heritage, classic, flstfi, fatboy, fat, boy, flstfb lo, flstfse, screaming, eagle, flstni, deluxe, flstsi, classic, springer, flst, flsts, flstsb, flstf, cross, bones, crossbones, flstsci, fxcwc, rocker, blackline, line, breakout, out, fxsb, fxsti, standard, fsxtb, fsxtbi, nighttrain, train, fxstc, custom, fxstd, deuce, fxstsse2, fxstsse3, FXDWG, FXDB, fxdb, wide, glide, wideglide, street, bob, streetbob, FXDC, superglide, custom, FXDF, fatbob, bob, switchback, FLD, FXDL, lowrider, rider, custom, screaming, eagle, superglide, fxdli, fxdbi, fxdci, fxdwgi, fxdxi, fxdxt, convetible, sport, anniversary, 35th, t-sport, tourers, flhrc, road, king, roadking, street, glide, streetglide, roadglide, flhxse, flhtkse, flhri, flhtci, cvo, flhtkl, special, ultra, limited, flhtcul, flhtcui, flhrci, fllhri, classic, electra, special, low, flhtcutg, tri, freewheeler, wheeler, fltrx, fltru, king, screamin, screaming, eagles, standard! The biggest and baddest caliper in the ISR range, these deliver phoenominal stopping power! Supplied in the 108mm radial mount fitting as used by the majority of sports bike manufacturers, they will drastically improve the stopping power of any bike. As used by Ghost Rider on his 499 BHP Turbo Suzuki these calipers have been tested at over 230MPH! After watching him ride you can see why he needs good brakes and he only uses ISR products! !quote, 22044OA, 22044OB, braking, brakes! Superb products! ISR calipers are top class! ...combined with Brembo 19RCS lever. 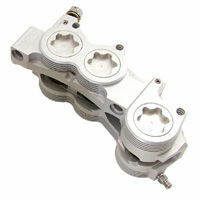 An ideal upgrade for the mass-produced 4 piston calipers found on 90% of sportsbikes. Crafted from a solid piece of billet aluminium and using 4 individual pads per unit, these calipers not only look great but have the performance to match! 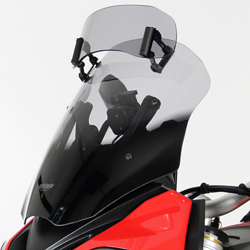 Utilising the standard 108mm radial mounting arrangement of all current Japanese sports bikes - your investment is protected because you should be able to simply switch them to your next bike in the future (there is also the option of 100mm bolt pitch for Italian bikes). 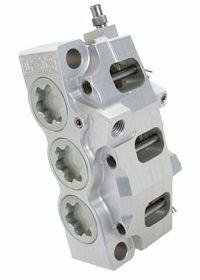 The unique design of these calipers also means that these can be fitted on either the left or right side with no modifications required. Expertly carved from billet aluminium - these calipers from ISR are THE must-have upgrade. 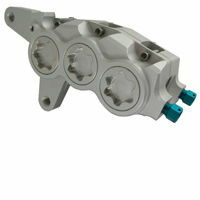 Please note: This is not a direct replacement for your original caliper, you may need to modify your existing bracket. Please contact us if you need advice with this. 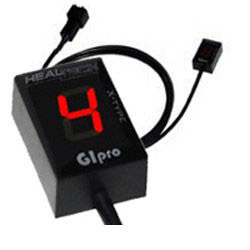 You will be asked to confirm the make, model and year of your bike once you've added this item to your shopping cart and we will contact you to discuss pad options. !22-027-OA, 22-027-OB, 58303, 58301, braking, brakes, dyna, softail, sportster, touring, 883, 1200, sportsters, xl50, 50th, xl883n, xl883r, iron, xl883l, 883l, xl1200c, 1200c, xl1200x, 1200x, custom, superlow, low, xl1200v, 1200v, 48, 72, forty, eight, seventy, two, forty-eight, seventy-two, xl1200t, 1200t, nightster, xl1200n, 1200n, roadster, low, xl1200l 1200l, anniversary, xl1200r, 1200r, xl1200s, 1200s, sport, hugger, xl, xl883l, xlh, xlh883, xlh1200, softail, tail, fls, slim, flstci, heritage, classic, flstfi, fatboy, fat, boy, flstfb lo, flstfse, screaming, eagle, flstni, deluxe, flstsi, classic, springer, flst, flsts, flstsb, flstf, cross, bones, crossbones, flstsci, fxcwc, rocker, blackline, line, breakout, out, fxsb, fxsti, standard, fsxtb, fsxtbi, nighttrain, train, fxstc, custom, fxstd, deuce, fxstsse2, fxstsse3, FXDWG, FXDB, fxdb, wide, glide, wideglide, street, bob, streetbob, FXDC, superglide, custom, FXDF, fatbob, bob, switchback, FLD, FXDL, lowrider, rider, custom, screaming, eagle, superglide, fxdli, fxdbi, fxdci, fxdwgi, fxdxi, fxdxt, convetible, sport, anniversary, 35th, t-sport, tourers, flhrc, road, king, roadking, street, glide, streetglide, roadglide, flhxse, flhtkse, flhri, flhtci, cvo, flhtkl, special, ultra, limited, flhtcul, flhtcui, flhrci, fllhri, classic, electra, special, low, flhtcutg, tri, freewheeler, wheeler, fltrx, fltru, king, screamin, screaming, eagles, standard! The Lightest Rear Caliper You Can Buy! Expertly carved from a solid piece of billet aluminium - these calipers from ISR are THE must-have upgrade. Please note: Due to the smaller dimensions of this caliper, this is not a direct replacement for your original caliper, you may need to modify your existing bracket. Please contact us if you need advice with this. You will be asked to confirm the make, model and year of your bike once you've added this item to your shopping cart. Please also note: We can supply ISR parts unanodised should you wish to apply your own finish, just tick the option box below when ordering, the parts will also be supplied unassembled. !quote, 22-036-0A, 22-036-0B, 22-036-0C, braking, brakes! I have this rear caliper on my bike now and I am very happy with it. Thanks for the great service. Extremely Light - Extremely Versatile! Beautifully carved from billet aluminium - these ultra-light radial rear calipers are available in Left-Hand or Right-Hand versions (Right-Hand version pictured) or could be used at the front (for very light bikes only - in single or twin disc configurations) with discs from 150 to 250 mm in diameter. Because the swept height of the pads is only 27 mm, this also means HPS can produce very lightweight discs to go with these calipers (see our bespoke discs information page and downloadable ordering/quotation form here). Please note: Due to the smaller dimensions of this caliper, this will not normally be a direct replacement for your original caliper, meaning you may need to modify your your front forks / existing rear bracket, or have a new bracket / adaptors manufactured. Please contact us if you need advice regarding this. !22-0049-OA, 22-049-OB, 58674, 58675, calipers, braking, brakes!